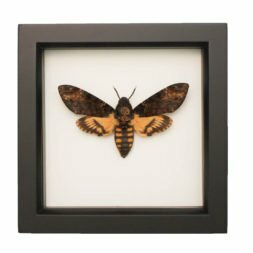 The famous Death Head Moth from Silence of the Lambs. 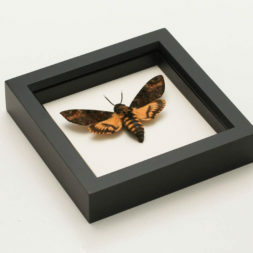 One of the largest moths in the world. 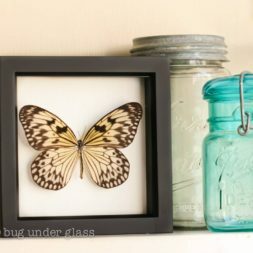 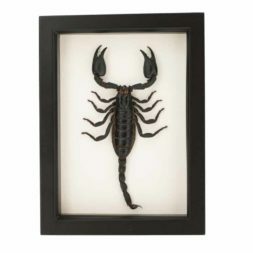 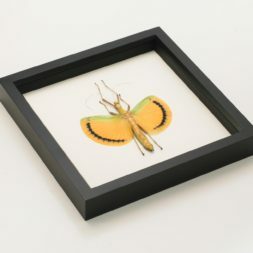 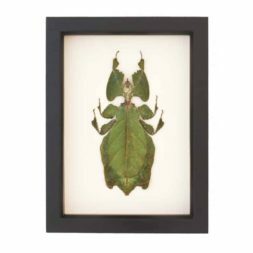 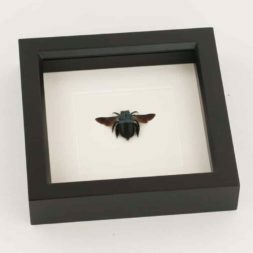 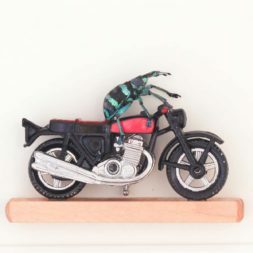 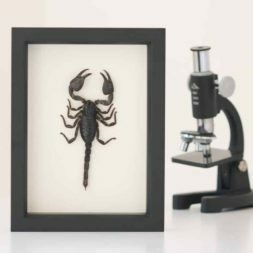 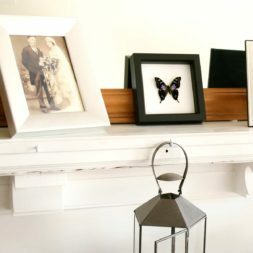 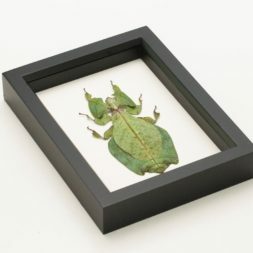 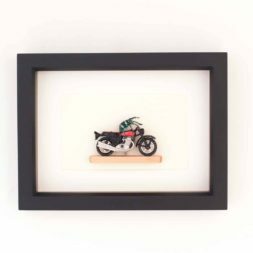 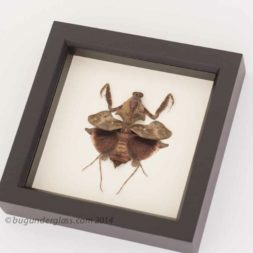 For the risk-taker who loves to throw caution to the wind, this Weevil Knievel unique insect art is an enthralling museum quality piece that will add depths of character to your space. 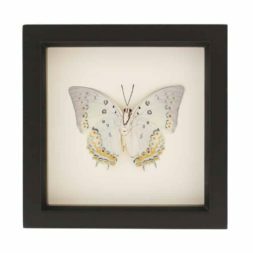 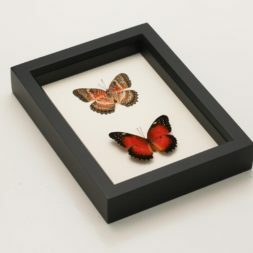 Framed in a MUSEUM QUALTY SHADOWBOX SIZE: (6″ x 8″ x 1.25″) with UV BLOCKING CONSERVATION GLASS. 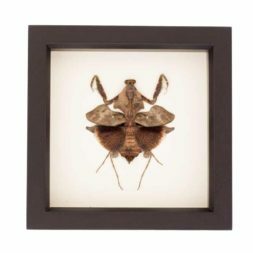 Includes natural history story label on back of frame. 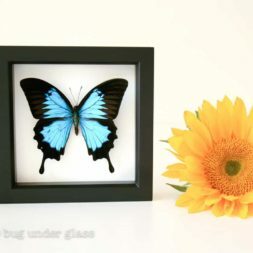 Handmade in Sonoma County California. 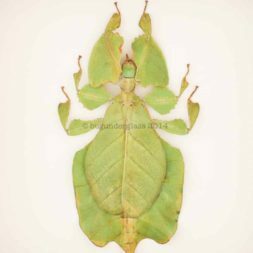 This mantis mimics dead leaves and lives in tropical rainforests in Asia. 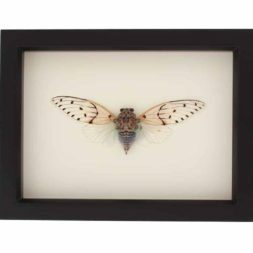 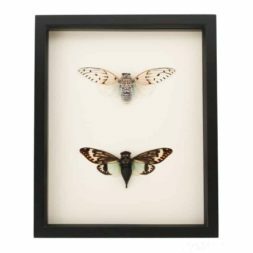 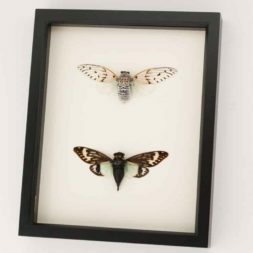 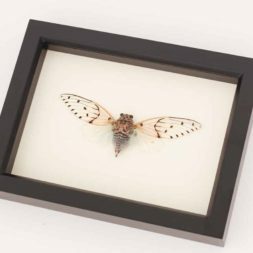 The “Splendid Ghost” display features a Ghost Cicada and Splendid Cicada framed in gallery frame. 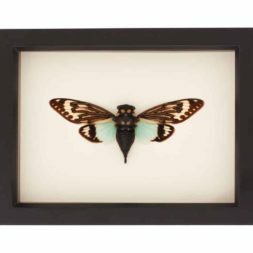 Cicadas mean summertime. 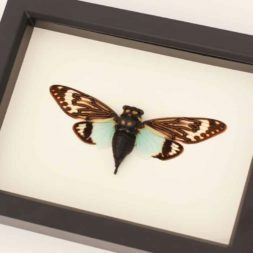 This species has a cool mint color on its hind wings. 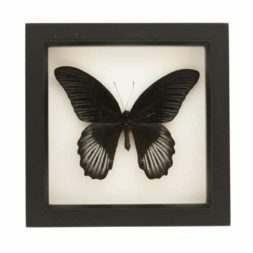 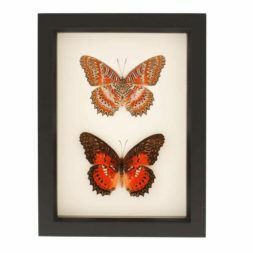 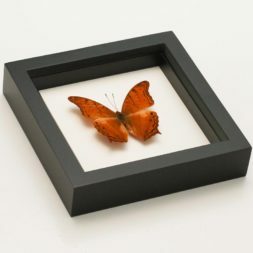 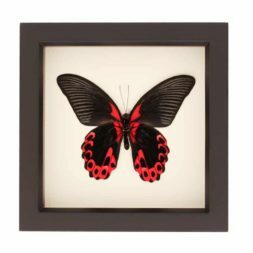 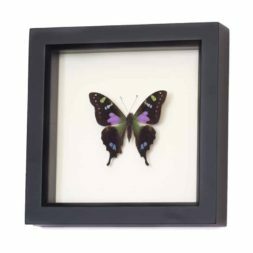 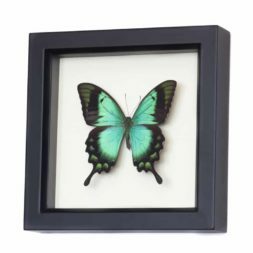 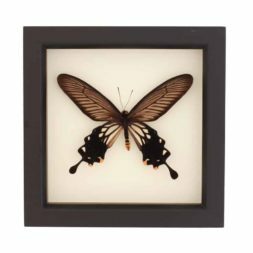 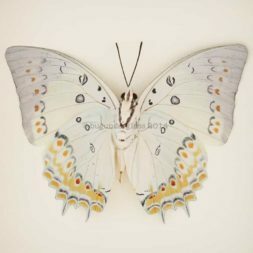 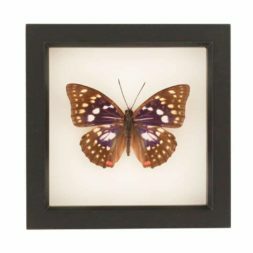 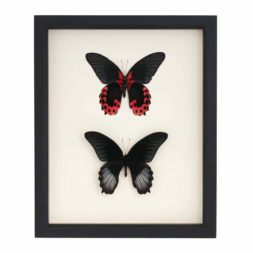 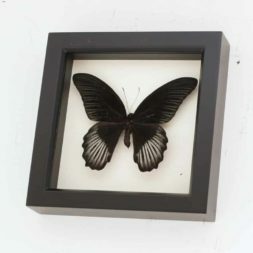 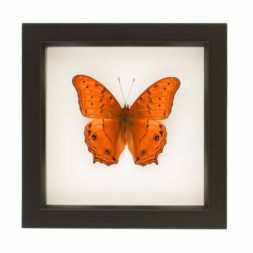 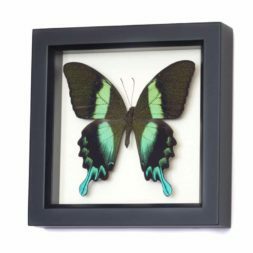 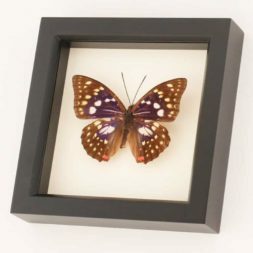 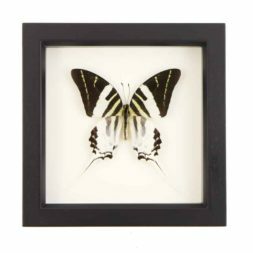 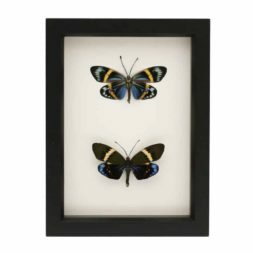 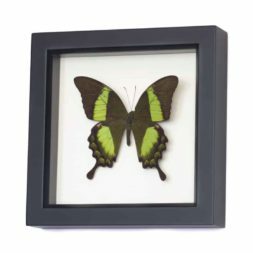 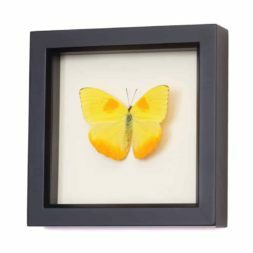 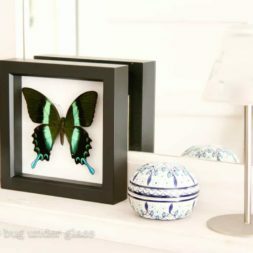 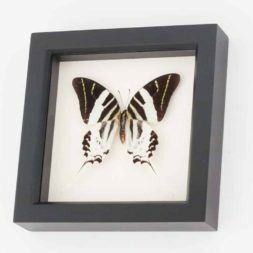 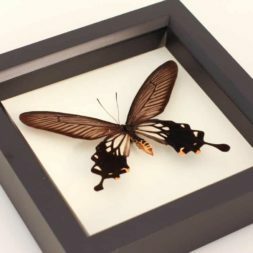 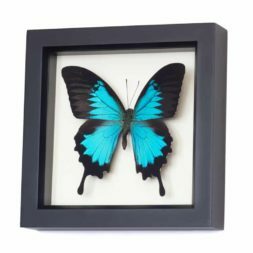 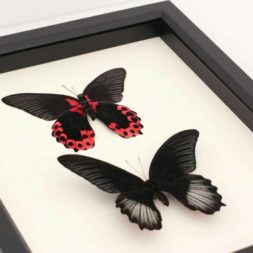 Framed butterfly collection displaying the front and back of the Scarlet Mormon butterfly. 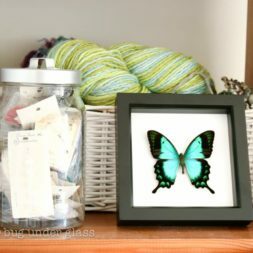 Your space is unique. 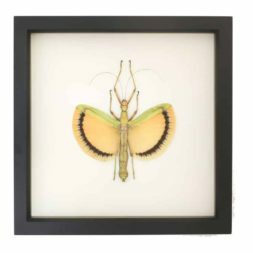 Add a sense of wonderment with this real walking stick insect wall art. 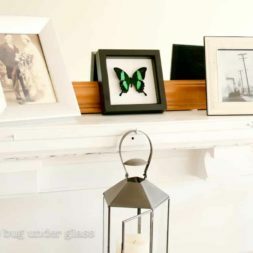 FRAME COLOR: Choose from BLACK, WHITE, OR DARK WALNUT.